The National Coordination Committee for Mangroves for the Future (MFF) co-ordinated with the International Union for Conservation of Nature (IUCN) in Vietnam to organise a workshop to share experience on improving the resilience of coastal ecosystems and communities. Speaking at the conference, Steen Christensen, Regional Coordinator for the Mangroves for the Future, emphasised that Vietnam has implemented many mangrove projects, many of which have been implemented effectively. However, many of the projects are limited in terms of raising public awareness of them. In order to address these constraints, it is necessary to deploy high-level evaluation missions and increase the connections between investors and other development programmes and projects related to sustainable coastal management. At the workshop the participants discussed the management and conservation of coastal ecosystems with the participation of the community; strengthening coastal areas management; and increasing the effective results in implementing mangroves for the future in Vietnam. Meanwhile, the participants proposed the activities of the mangrove initiative for the future. 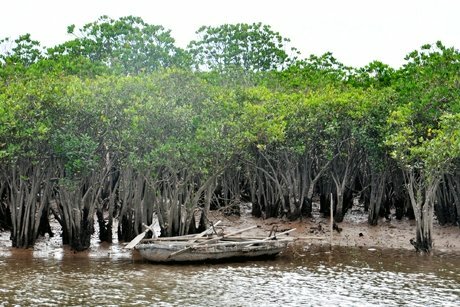 In Vietnam, the National Coordination Committee for Mangroves for the Future (MFF) will support localities to develop coastal ecosystems and use mangroves as a pioneer ecosystem to recognise the important ecosystem services provided by mangroves. Mangroves for the Future (MFF) is a unique partner-led initiative to promote investment in coastal ecosystem conservation for sustainable development. Co-chaired by IUCN and UNDP, MFF provides a platform for collaboration among the many different agencies, sectors and countries which are addressing the challenges to coastal ecosystems and livelihood issues. The goal is to promote an integrated ocean-wide approach to coastal management and to building the resilience of ecosystem-dependent coastal communities.